It is best if mums do most of the feeding at my studio so that baby is nice and relaxed. Photographers love a hungry baby! We want this beautiful new baby to relax and feel settled, by feeding either at the studio, or just before I arrive (if you’re having a shoot at home), baby will settle and feel comfortable right as we’re about to start. As I start with an outfit or wrap they can digest their feed and then continue on as they are nice and comfortable. With that being said, if you want baby naked, then at some point they will poop or pee! And it’s ok!! All babies do it and I am so used to it and it truly doesn’t bother me – we just grab another blanket! Whether you are a nursing mum or formula feeding, I do everything I can to make you and your baby comfortable. You will be left to feed in private and you will of course be able to feed whenever baby needs to. The actual shooting time of a session is around 1 hour, the other 3 hours I plan into the session is to enable you and baby the time and space to be comfortable and settled and for me to settle baby onto the beanbag and get them comfortable and relaxed before I grab my camera. I use techniques such as swaddling, sushing, white noise and heaters, to help your little one relax. Clothing for parents and siblings is best when it is nice and simple, and free of patterns or stripes. It is best to wear colours that will look great when the artwork is displayed in the home. Light or dark colours, work equally well. Little ones are best kept bare feet and tutus are available for little girls if you’d like to try them. For boys, simple jeans and solid t’s are recommended. Older siblings can of course become very restless over the course of a newborn shoot so it is often advised that the come along either at the start or the end of the shoot for the sibling & family photos and then have the opportunity to be taken home while the rest of the newborn photographs are taken. Please have a think about what you want from the session. 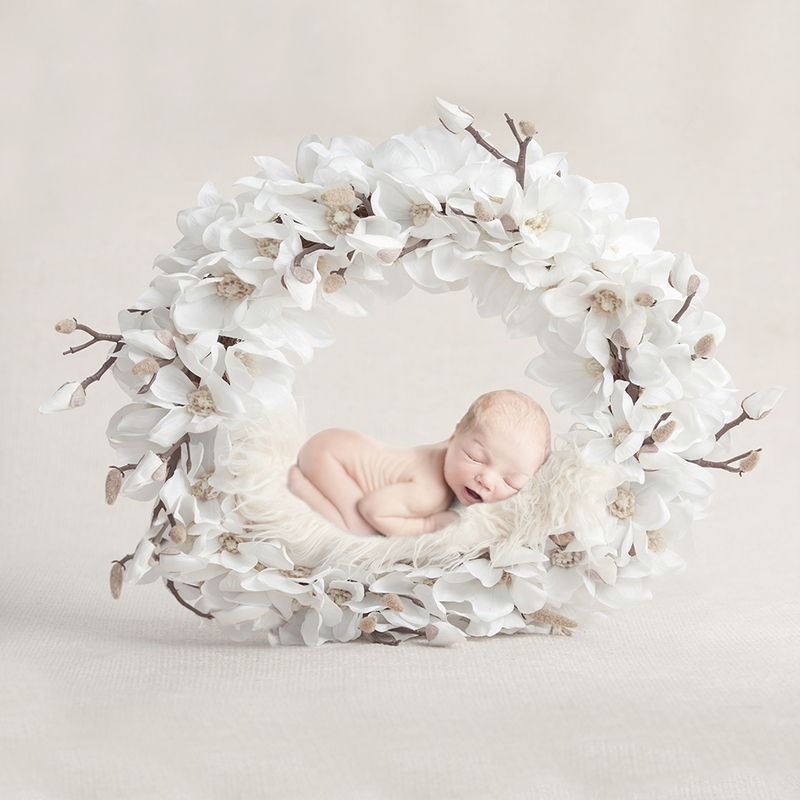 Do you want a beautiful large canvas image in your entrance hall or living room of your newborn? Would you like an album documenting all their gorgeous details? Please let me know what you’d like to do with your images as it alters the way in which I plan the session. It is also useful to know if there are any colours you would like me to use or if there’s a particular pose/prop or image you love which you’d like to recreate. Knowing what your hopes and dreams are for the shoot helps me to create the most perfect results for you. If you have any other questions on how to prepare for your newborn session please do get in touch or leave your questions in the comments box below.